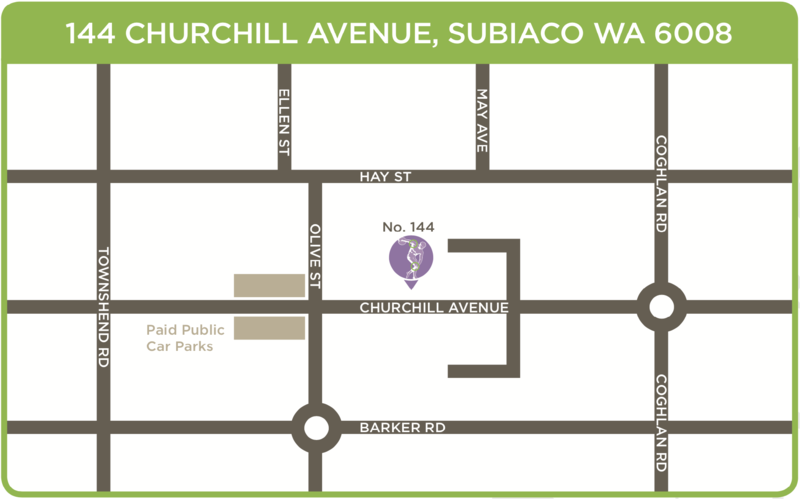 Free 1 hour street parking is available on Churchill Avenue. Free 2 hour street parking is available on Olive Street. There are also two public car park areas on the corner of Churchill Avenue and Olive Street. Still consulting at Joondalup and Peel locations as normal. Bus from city plus 6-minute walk (400m). Catch Bus 25 from St Georges Terrace. Exit Stop 10098 (Corner Kings Park Road and Thomas Street). right onto Coghlan Street, then left into Churchill Avenue. Surgery is on your right.